Read below to see what our students are saying about Face Pilates. 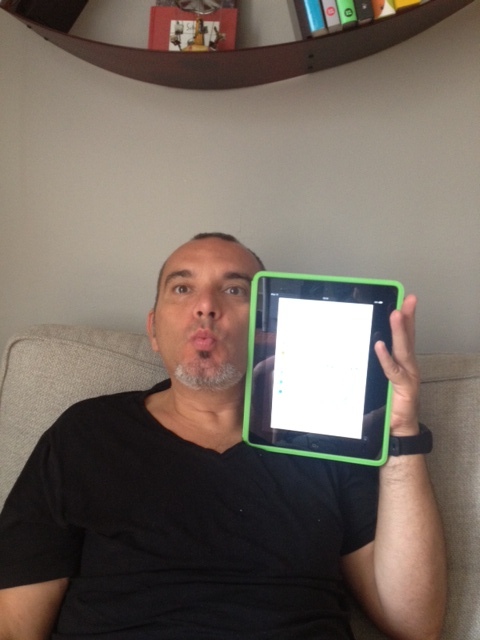 Here is a photo of one of our fan’s practicing the Face Pilates exercise called ‘The Kiss’ on his iPad. If you have practiced our Face Pilates routine and would like to provide a testimonial, please e-mail us at mandy@psaustralia.com. Thanks!